The 'best-ever' Sandown Drive Days will take place next week featuring interactive, hands-on demonstrations of the latest technologies and innovations of the relevance to the road transport industry. Neil Chambers, CEO of the Victorian Transport Association, says: "After months of planning, we are excited to present the best-ever Sandown Drive Days to the transport industry. This is the third event of its kind, and it is becoming renowned as the best interactive, hands-on event that demonstrates the latest technologies and innovations of our industry." The event includes working demonstrations of trucks, trailers, vans, cars and motorcycles. The latest advances in transport technology, workplace safety solutions and best practice maintenance will be demonstrated, as well as sessions on Performance Based Standards (PBS) vehicles and bulk tanker emergency response. The third Sandown Drive Days event has the active support of leading organisations within the commercial road transport industry, including VicRoads, the National Transport Commission, Transport Certification Australia, Transport Accident Commission, CityLink, EastLink and WorkSafe Victoria, as well as leading truck manufacturers Daimler Trucks, Hino, Paccar, Scania and Volvo. 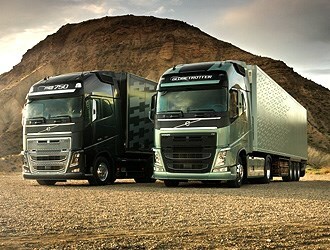 More than 15 different trucks - as well as cars and vans -will demonstrate the latest safety technologies. Attendees can compare the features, giving them a better understanding of the potential that this latest equipment offers for improved productivity and safety. The Sandown Drive Days 2013 event is much more than just trucks and trailers. Maintenance sessions, hands-on technology displays and demonstrations of the latest in-load restraint and safety equipment make this a truly practical experience across the full range of issues for the transport sector. "With the range of activities, it is a good idea for companies to send people to different sessions to pick up the ideas and benefit from witnessing the equipment in action," Chambers adds. For more information visit www.vtadrivedays.com.au. Tickets are available online, priced at $165 per session. Time: Thursday 9am-12pm, Thursday 1pm-4pm, Friday 9am-12pm. For a full report on the 2013 Sandown Drive Days see the upcoming editions of Australasian Transport News (ATN) and Owner//Driver(OWD).